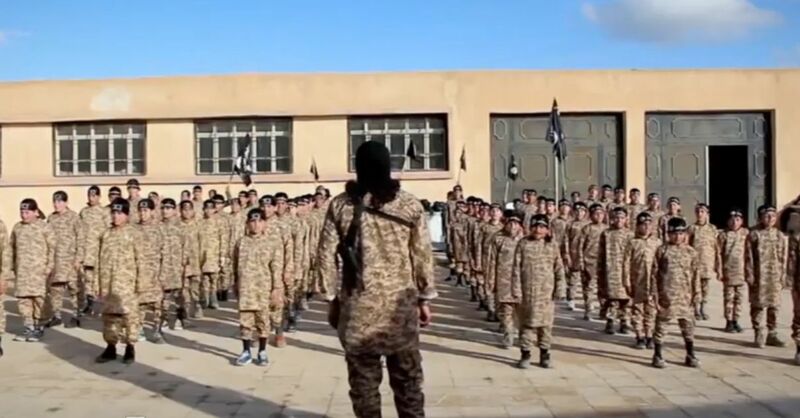 It looks like there’s a possibility that ISIS may start to use child soldiers, adding to the list of human rights abuses committed by terrorist organization. 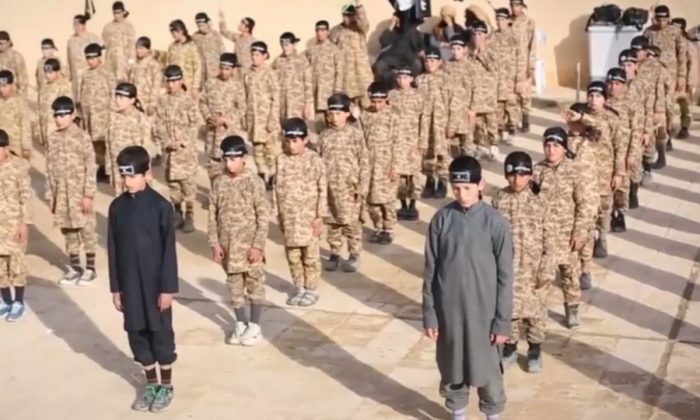 A video released by ISIS, or the Islamic State in Iraq and Syria, shows rows of children wearing camouflage and black ISIS-branded headbands. The children then mimic the military-style exercise orders shouted from a drill officer. The instructor, who sports a beard and long hair, asks the children—some of whom look as young as 10 years old—several questions, to which they shout the answers simultaneously. “Allahu Akbar,” they said in one exchange. 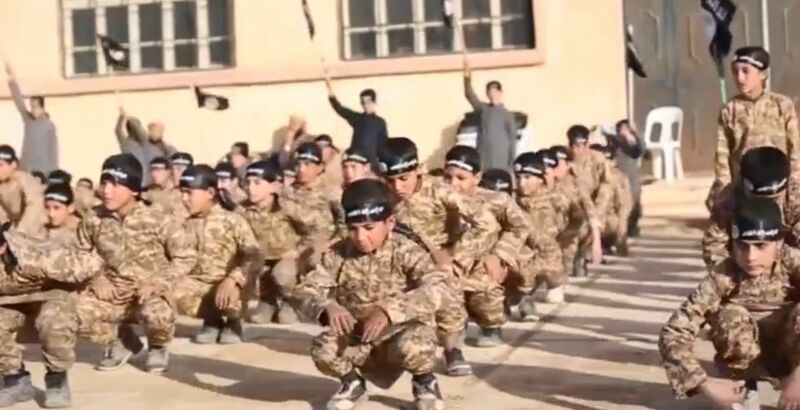 It looks like there’s a possibility that ISIS may start to use child soldiers,adding to the list of human rights abuses committed by the terrorist organization. 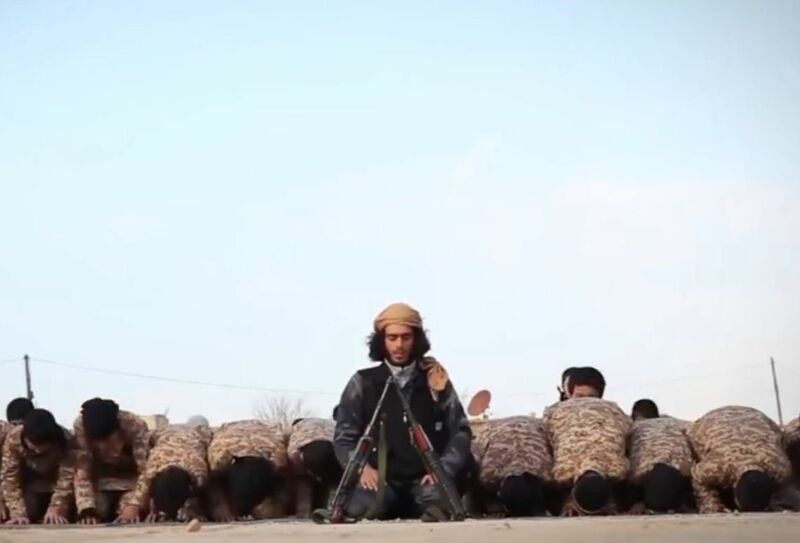 At the end of the footage, the boys and their instructor are seen praying in front of a pair of assault rifles. The footage is set to Arabic music—typical of the propaganda videos released by ISIS. In a later scene, the children are in a circle, with one of the children reading the Quran. The video was apparently shot at the Al Farouq Training Camp for Cubs, which is also the video’s title. Brookings Institution Syria expert Charles Lister tweeted that the training camp is located in Raqqa, Syria—the main ISIS stronghold. A notice that was being shared on Twitter said ISIS is opening up an English-language school in Raqqa. The activist group, Raqqa is Being Slaughtered Silently, publicized it on Sunday. 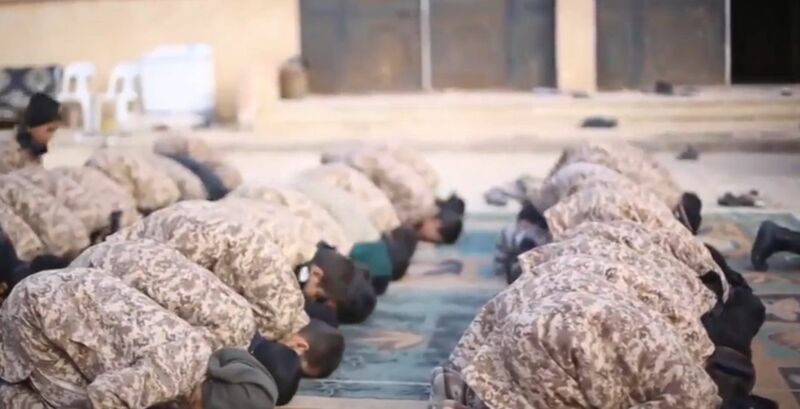 According to the activist group, the school is for the children of foreign fighters and will mostly include religious instruction, but there will be classes in Arabic, math, and English. There are at least 3,400 Westerners fighting for ISIS, which has a fighting force of around 20,000, according to The Associated Press. 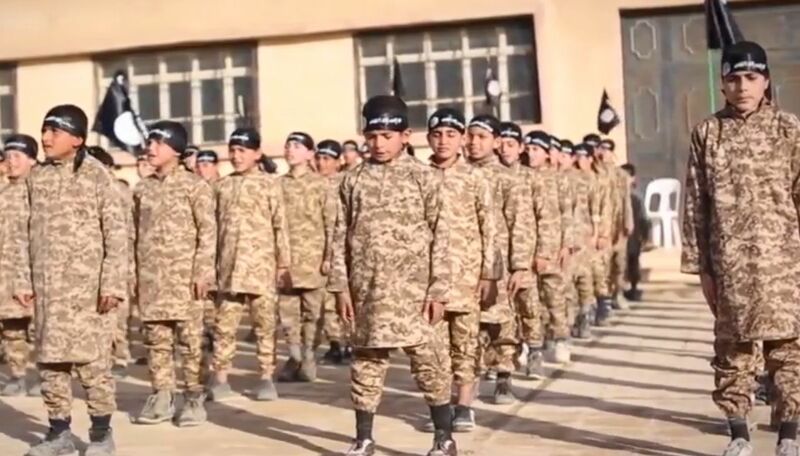 It’s not clear if ISIS will be using the children in the recent training video in its ongoing fight against the Iraqi army, Syrian rebel groups, and Kurdish fighters. However, a report published in September 2014 suggests it might be a possibility. Photos posted on ISIS-linked social media accounts have included babies posing with guns, and children holding up the heads of victims after they were beheaded.